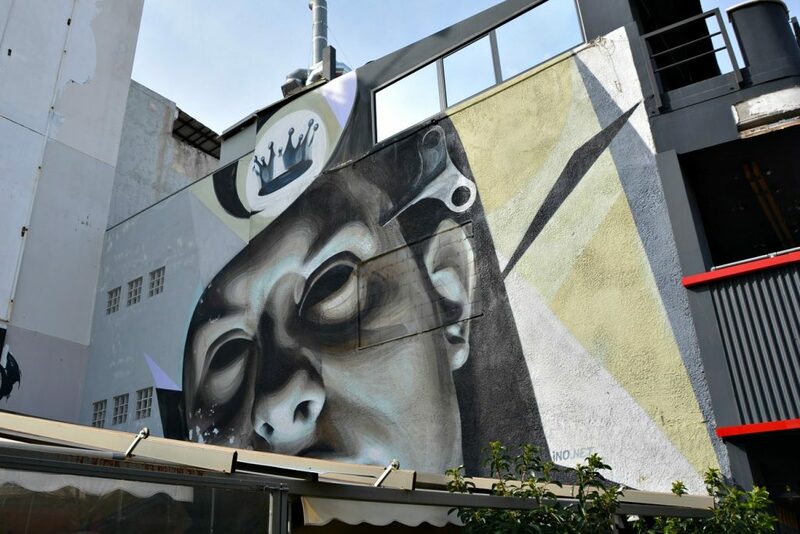 The Alternative Athens Street Art Tour gives incredible insight into the Greek capital’s booming identity as a street art mecca in Europe. Athens lately is a pretty creative place, and many would say more so than it has been in a long time. From new cultural venues, documenta14 scheduled to be in town and the rise of independent galleries – art is being defined here. 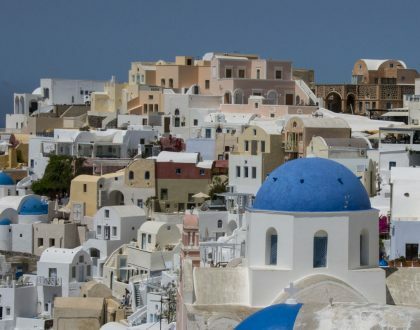 Throw in the effect of an economic crisis, the inspirational beauty that is Greece as well as cheap rents and hipster hoods perfect for starving artists – it’s a mecca for creativity. 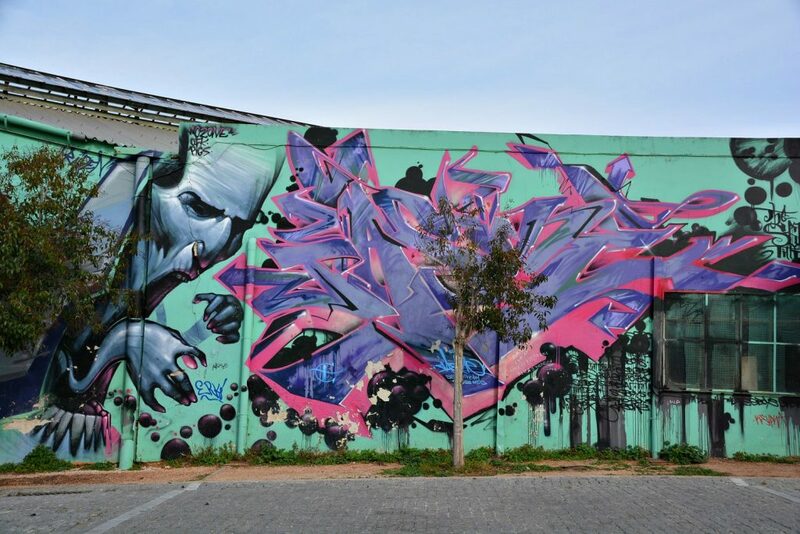 One major outpouring of all that is fantastic street art. 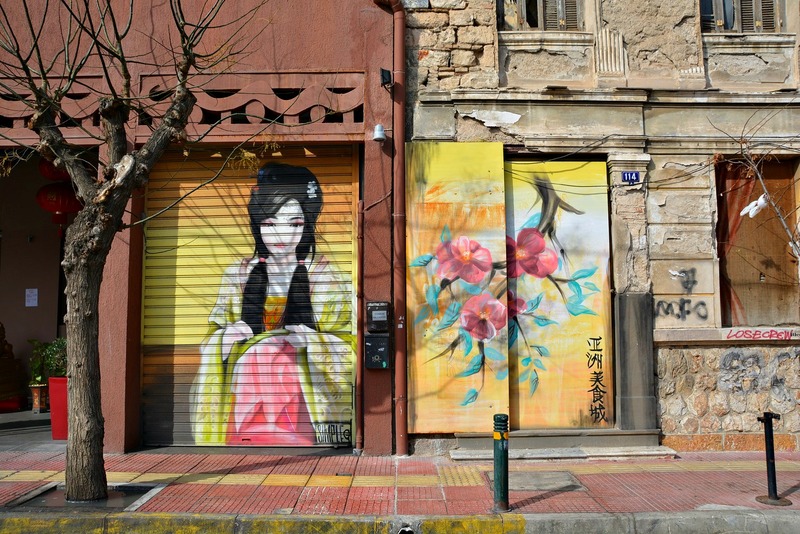 For more, check out my story for Lonely Planet: Art Revived: The New Athens Scene. 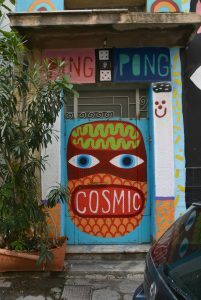 Part of my research for a magazine feature I am writing brought me on an Athens street art tour to discover more. 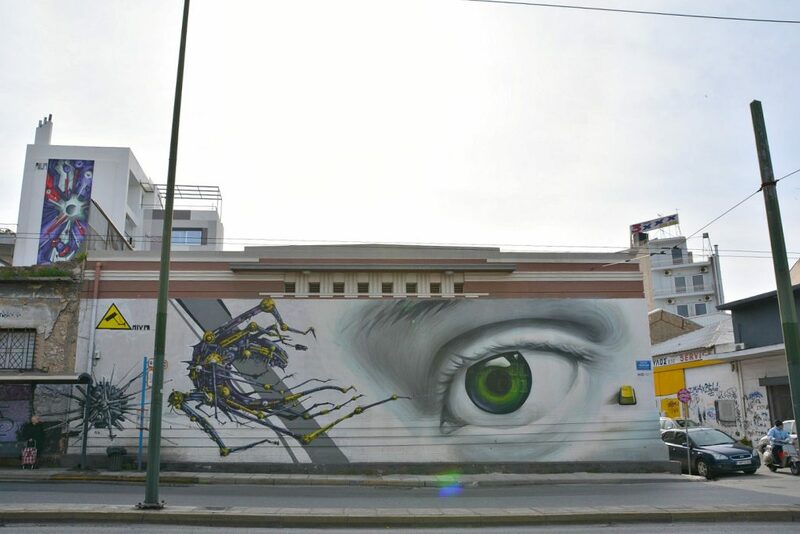 You see, over the past few years Athens has been gaining notoriety for its world class street art. 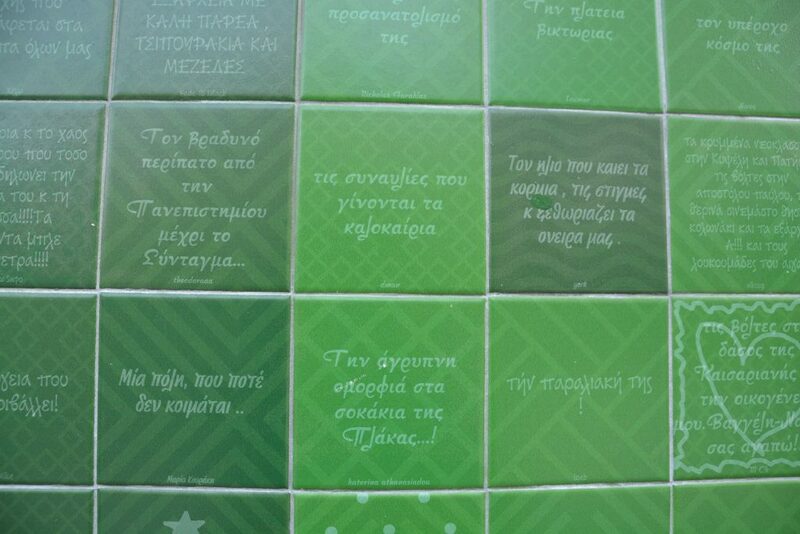 So much so, Athens now has themed tours covering it. 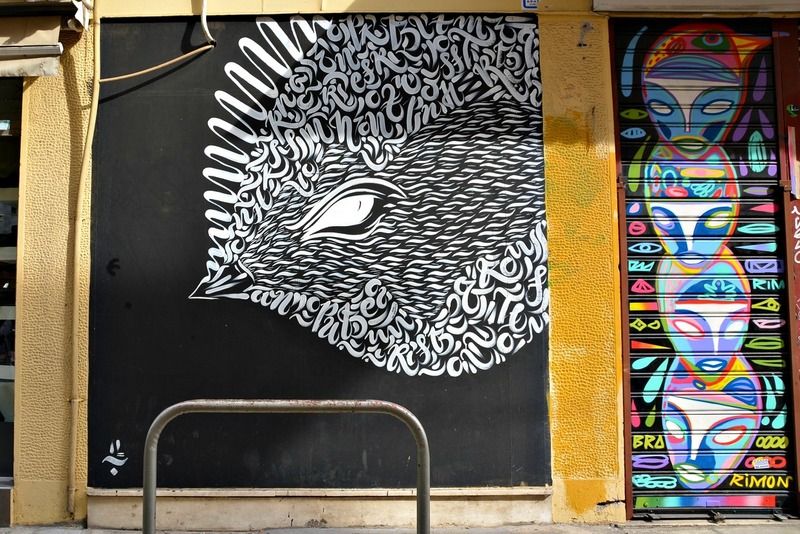 “Loukaniko” is a work by several street artists that can be admired in Athens’ Psirri district. Street art here is being compared to Berlin, Paris and London. That’s a big deal. 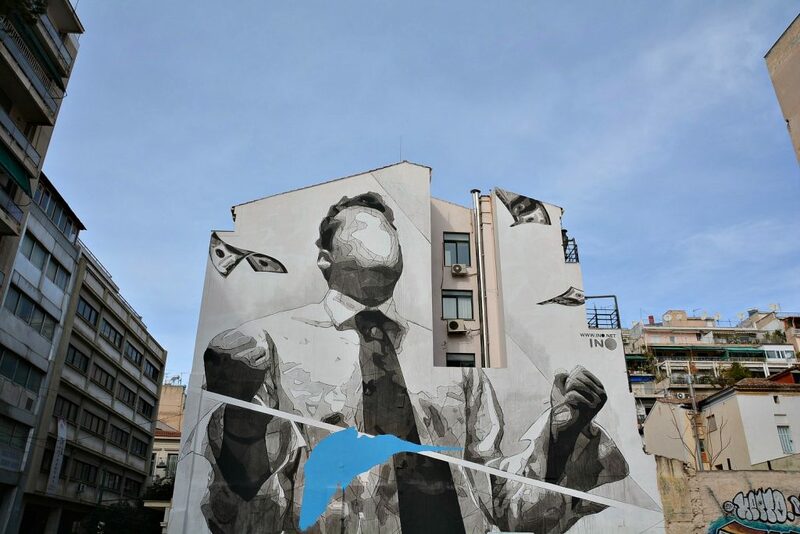 Public art has become a part of Athens, another creative layer to add among all that is ancient, historic, modern and everything in between. 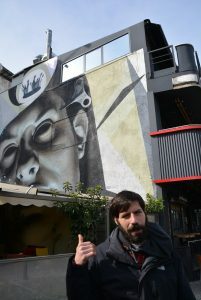 Nikos, our Alternative Athens tour guide, is a freelance graphic designer and a former street artist. He told us why (oh, why!) 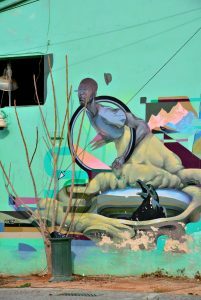 there are way too many terribly ugly dizzying tags, how artists get started and where they figure out where to place their work. 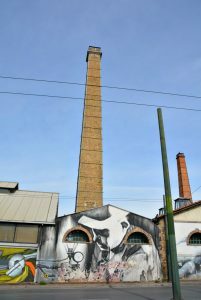 He also talked about how Athens’ artists get commissioned as well as the disrespect that happens between graffiti artists. We also informally discussed the current political situation that has inspired the messages and he explained different street art techniques. 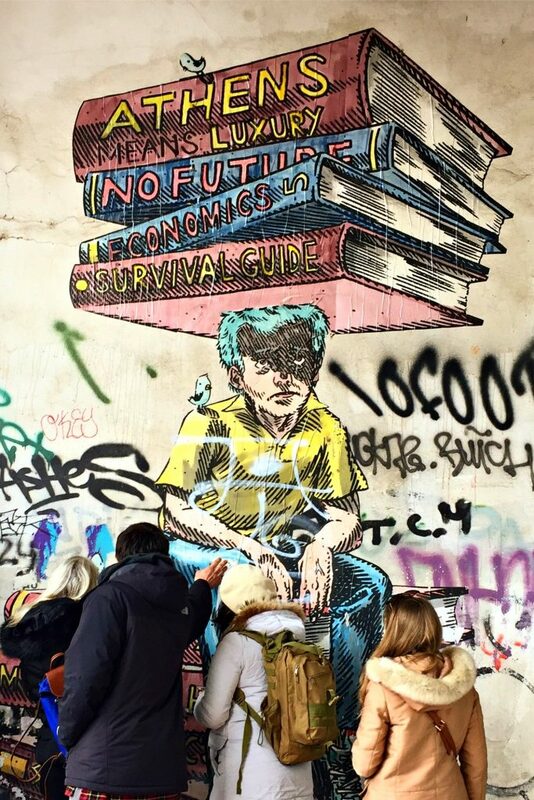 Let’s face it, the best street art anywhere isn’t going to be in a city’s leafy clean corners. 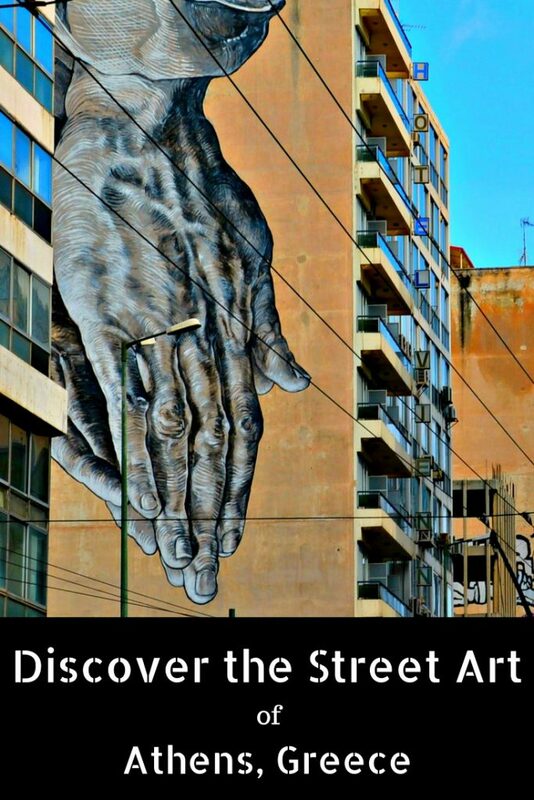 Nikos was an excellent guide, taking us through the gritty neighborhoods to bring us up close to the art. No worries, Athens is totally safe. These are just “non-touristic” streets a typical visitor to Athens would never bother to seek out. By the end of the tour I got to know the names of famous “celebrity” street artists, even recognizing their styles and methods. I learned about the different mediums used to create the art. I also learned which ones are commissioned works. 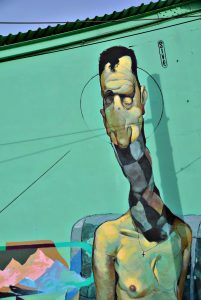 A very cool commissioned street art mural from Heineken. 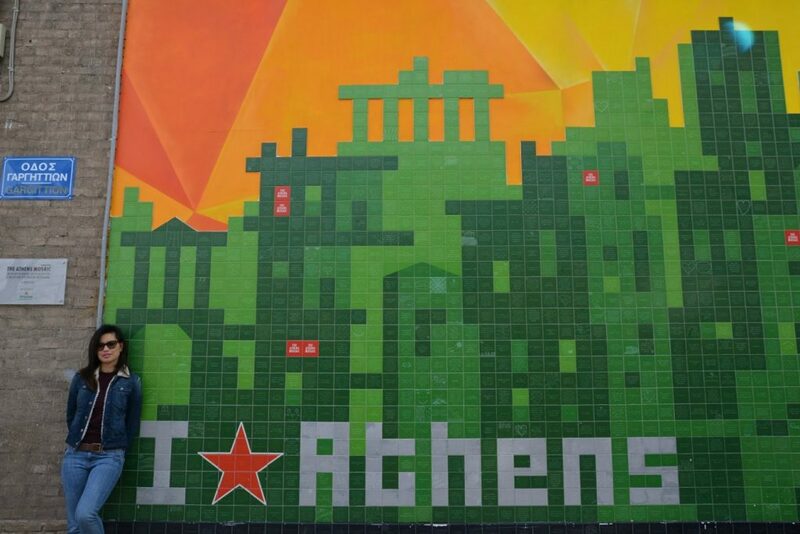 Tiles feature submissions by locals — what they love about Athens! I also loved analyzing some of the significant works with the tour group, what the messages were and the meanings behind them. Most of all, I loved being surprised! There were some pieces that, in my everyday existence here, I somehow overlooked. Coming upon a mural’s vicinity, turning my head up, and realizing what has been there the whole time was kind of thrilling — like I was getting in on a big wonderful secret finally. 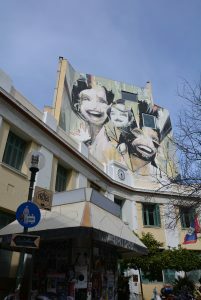 Yes, you can roam around the streets of Athens to search for street art by yourself, but I promise you that the Alternative Athens Street Art Tour is a better and much more insightful use of your time. 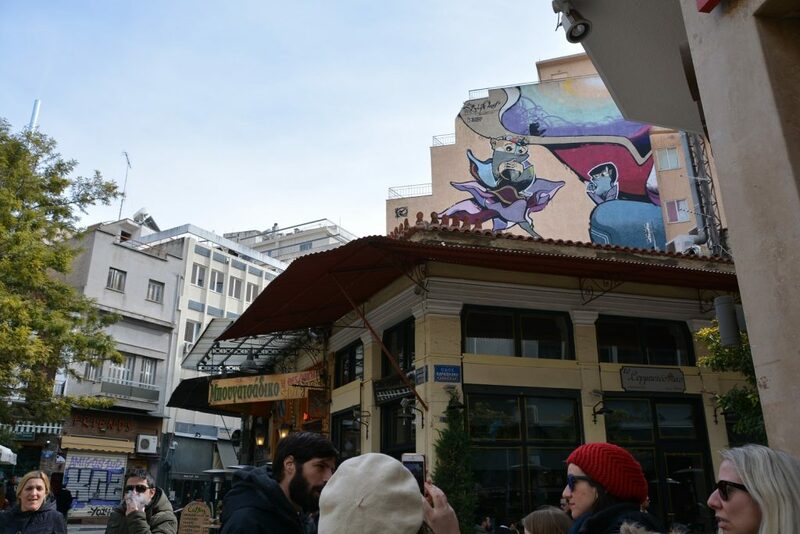 The tour takes guests through the backstreets of hip alternative Athens neighborhoods such as Gazi, Monastiraki, Psirri, and Thiseio to get up close to the murals. So, it’s another way to get a real authentic taste of the city with a local leading the way. Look up to the right in Psirri! If you simply love creativity, this tour is absolutely for you. 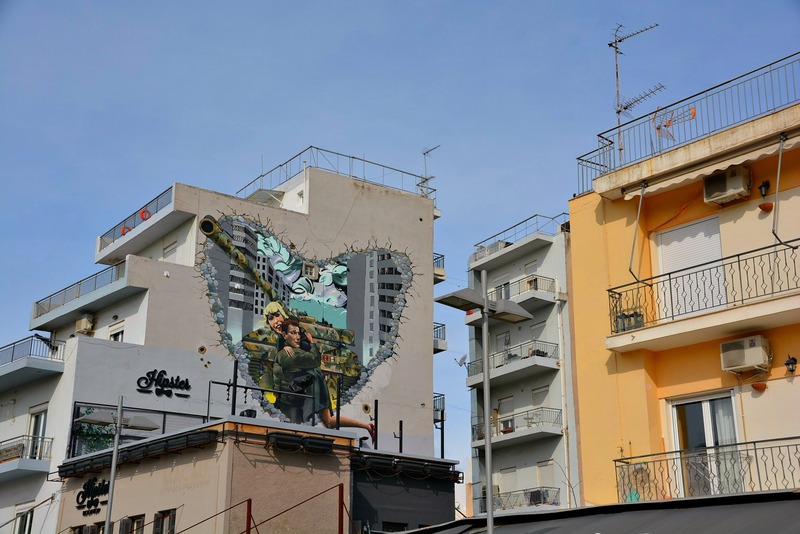 New perspectives, alternative ideas and sheer talent has given birth to a new era of street art culture, one that is redefining modern day Athens. If you’re in Athens, it’s worth experiencing up close. 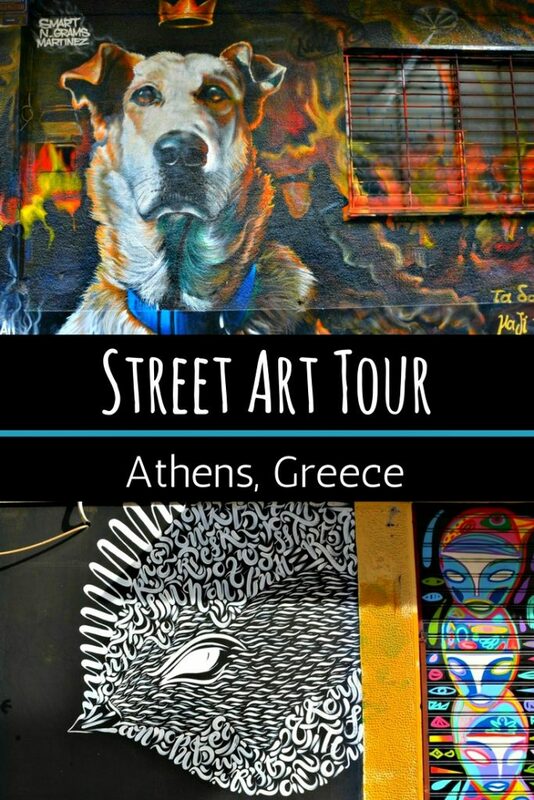 To book a 3-hour Athens street art tour with Alternative Athens, click here. To get to the Athens, many international travelers arrive by air in Athens or another major city. There are some direct seasonal flights too. You can find the best flight deals here. 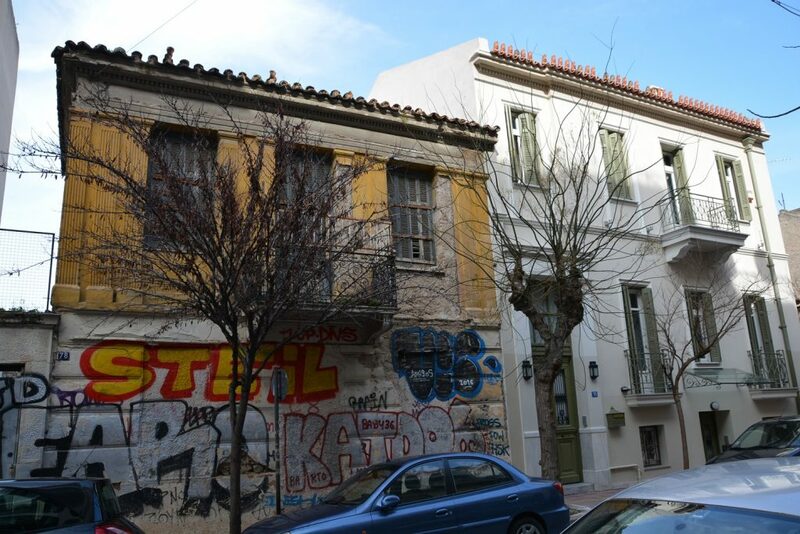 Athens is my adopted hometown and much of this blog is about that very topic. 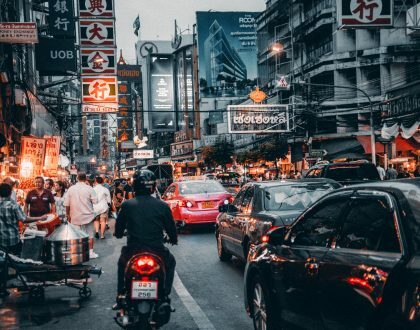 Check out more posts from nightlife to gastronomy on this blog here. It’s a wonderful city break you should plan at least two to three days for — even up to a week — depending on how much time you have and what you’d love to do. I highly recommend the Athens City Pass, a discount city card that gains you access to many of the capital’s most loved sights. I reviewed it earlier and featured it on this blog. If you are planning to explore more of Greece and take a few amazing day trips, I can highly recommend is Avis Europe. If you want to hop to the islands or spend time at one of the many Greek island destinations – you should! 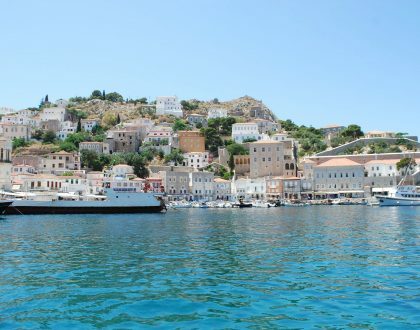 Also, check out my Greek islands category for the best places to stay, eat and best things to do. I only recommend places and experiences that I have tried and tested myself. Check out my post, 17 Awesome Greek Food Experiences which also lists where to find these delicious experiences in Athens. A full rundown of places I recommend coming soon. 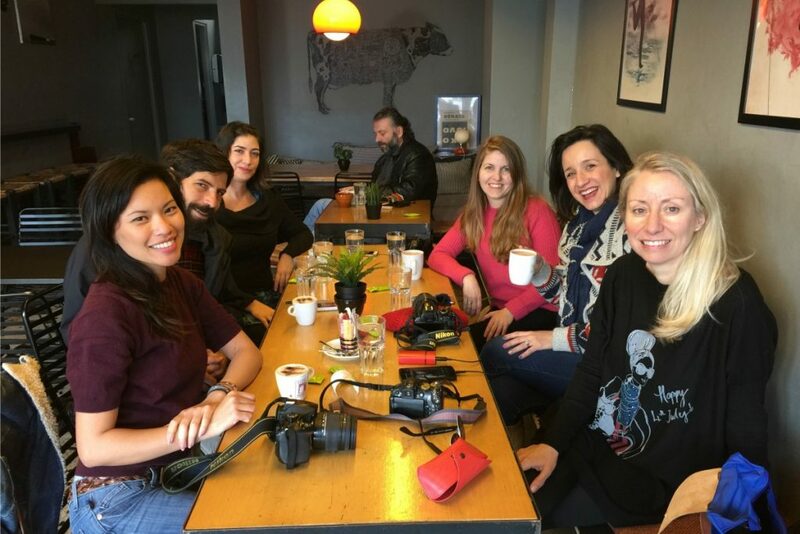 Bes sure to sign up for my bi-monthly newsletter here for more tips and insights from my travels around beautiful Greece and amazing Europe. 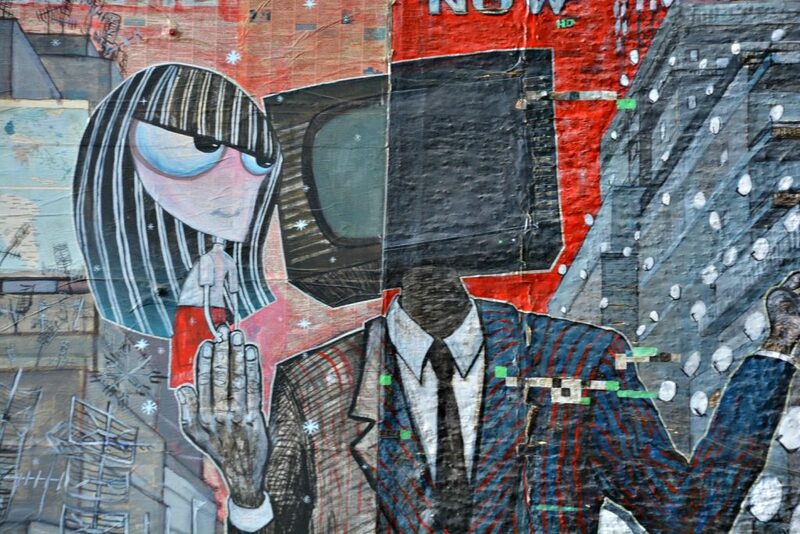 Do you like street art? 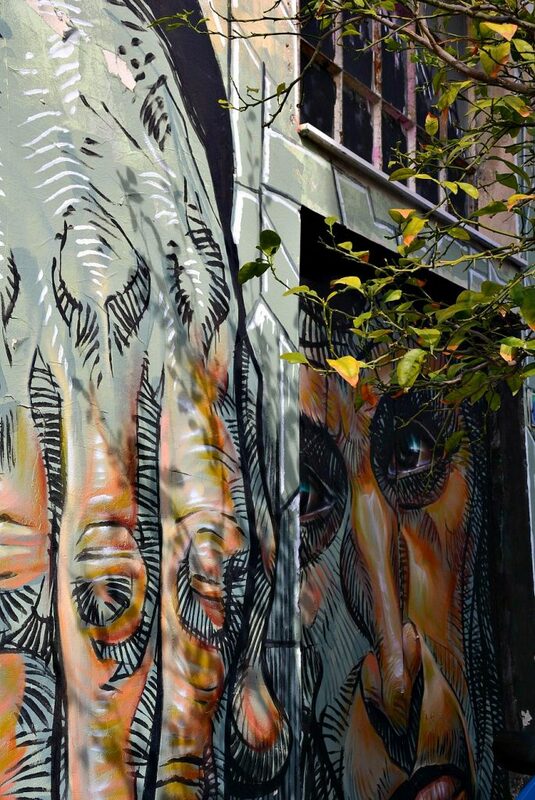 I’d love to hear about the cities that you’ve visited with incredible street art. Feel free to comment in the comment boxes below. Πωπω! 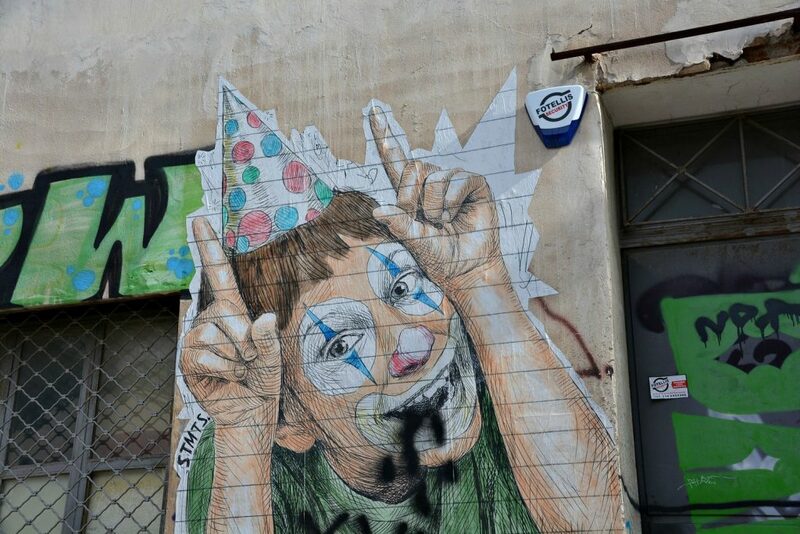 Υπάρχουν τόσο όμορφα και εντυπωσιακά graffiti στην Αθήνα; Μου αρέσουν και τα βλέπω ως τέχνη αλλά δεν μπορώ να ανεχτώ τα graffiti που είναι μόνο γράμματα ή έγιναν χωρίς άδεια σε σημεία που μοιάζουν περισσότερο με καταστροφή του κτηρίου ή του τοίχου. Το άσχημο graffiti χαλάσει το έργο των καλλιτεχνών στην Αθήνα. 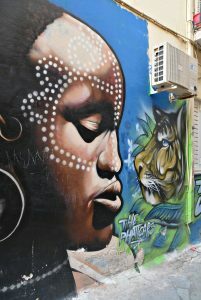 Δεν μου αρέσει καθόλου αυτό το graffiti αλλα δεν υπάρχουν οργάνωση για αυτό. 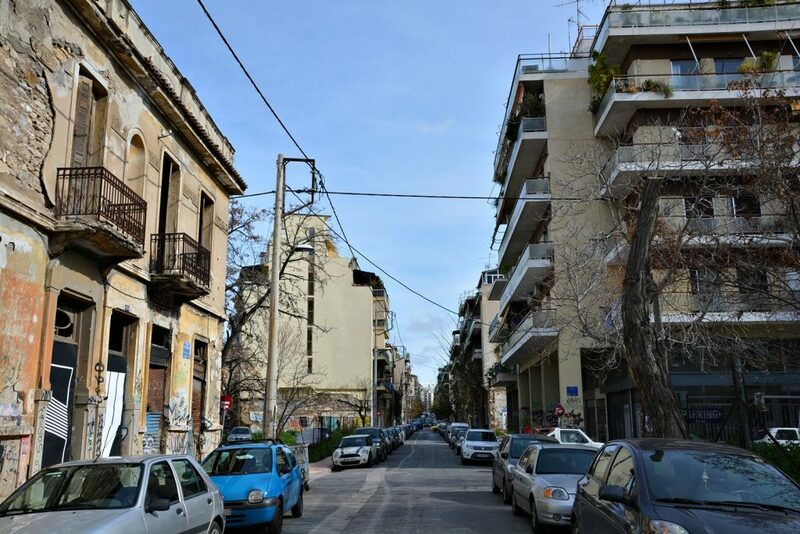 Σε κάποιες πόλεις εχουν δωρεάν μαθήματα για τους νέους που κανουν παράνομο γκράφιτι και tags και τους μαθαίνουν να ζωγραφίζουν καλό street art. Αυτη θα ήταν μια καλη λύση πιστεύω! 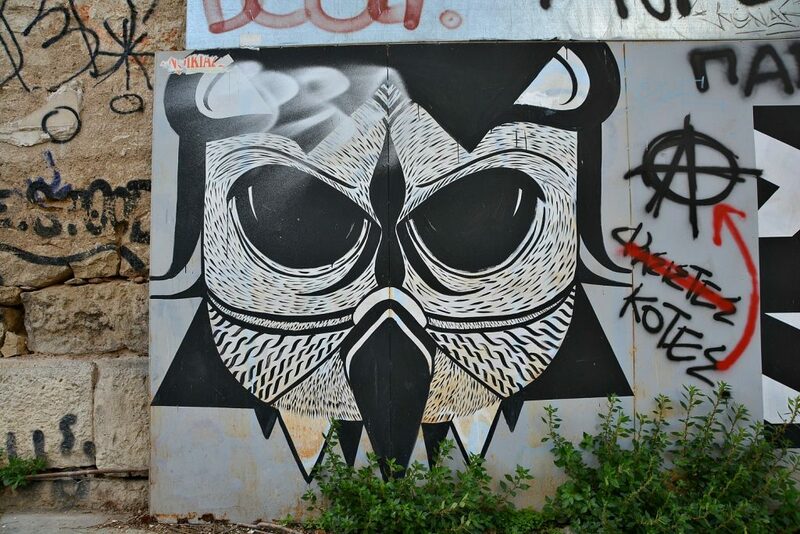 I definitely am impressed by the street art in Athens. It really is amazing. However, I don’t like the grafitti. 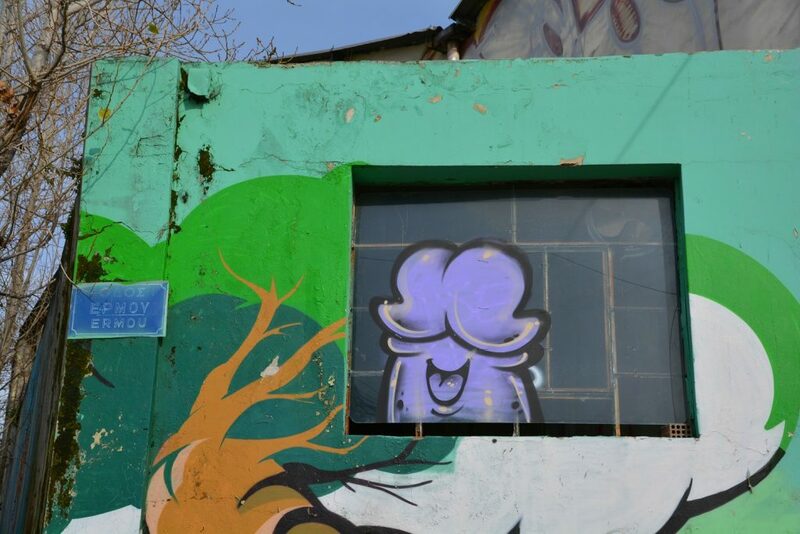 It seems to be everywhere and takes away from what the talented street artists are doing. It would be great if the city cleaned up the terrible graffiti. Hi Theo, I agree. It would be nice if the messy graffiti was gone and it was just beautiful street art. But, I guess you can’t have one without the other. I just think the other (bad tags and scribble) are just too much lately too. So glad I got to read about it- looking forward to your other article! Thanks, Amber! 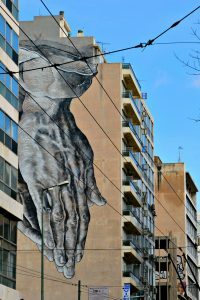 How is the street art in Thessaloniki? Wow, this is really amazing. I have been to Athens last Summer but did not see it from this side. We are currently in South America and here you can also see a lot of impressive street art in many cities, I am really impressed by it. Next time in Athens I will keep an eye open for this. Thanks! Hi there. Glad you liked the article. 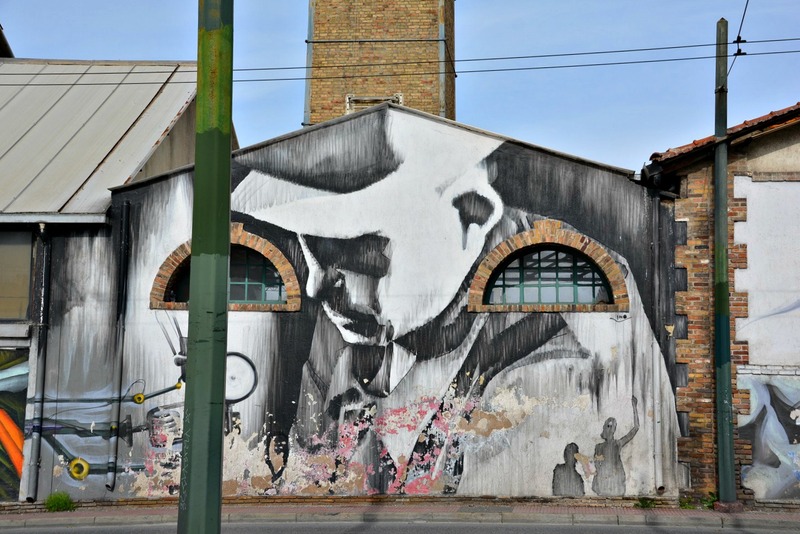 You kinda have to go off the beaten path to find the best murals around. Definitely look out for the art next time you are in town!! 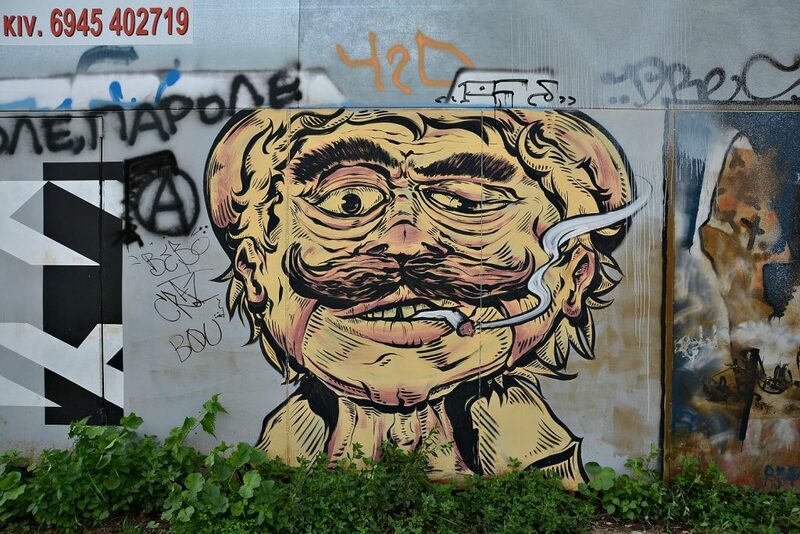 Looks like I need to return to Athens and enjoy all the incredible street art. I would definitely take the tour to maximize my time and also to support the locals. Such a comprehensive article with so many photos and great descriptions of your experience. Nice post. 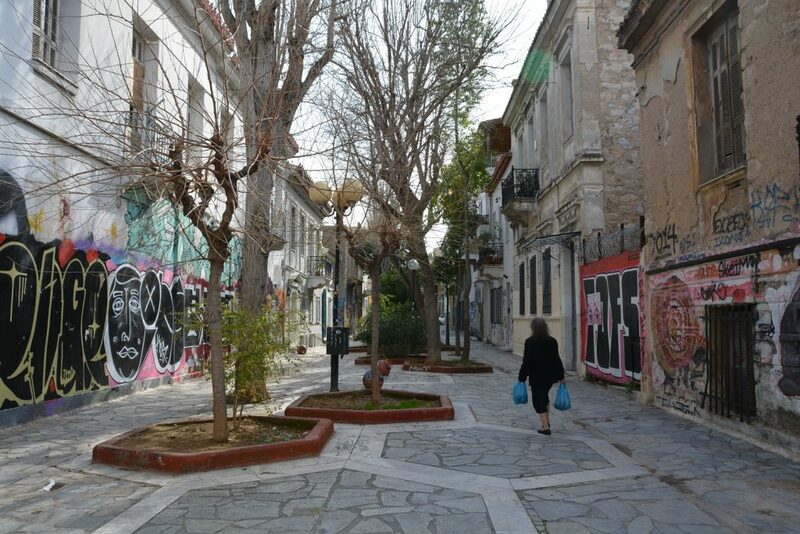 Hi Christine, Yes, if you didn’t get to enjoy the street art of Athens — do so next time you come. Thanks, glad you liked the post. 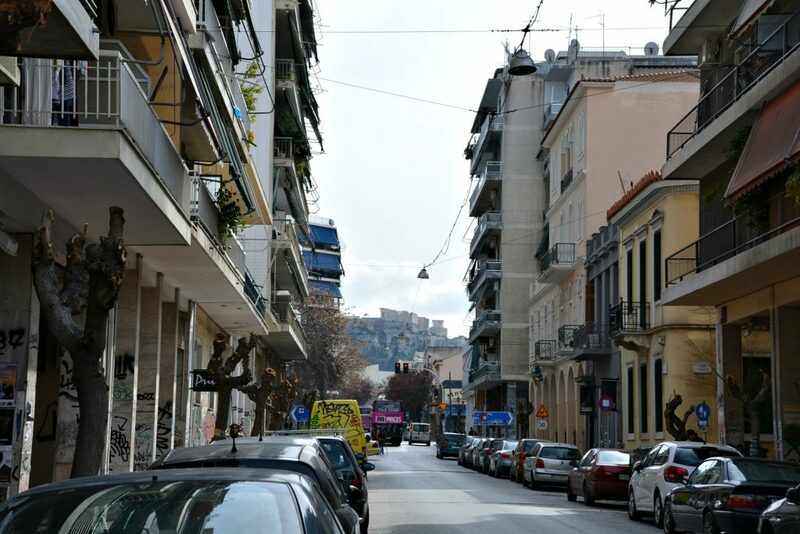 Athens is high on my list to visit, so it is great to see a post about the city. Thank you for sharing, your pictures are beautiful. 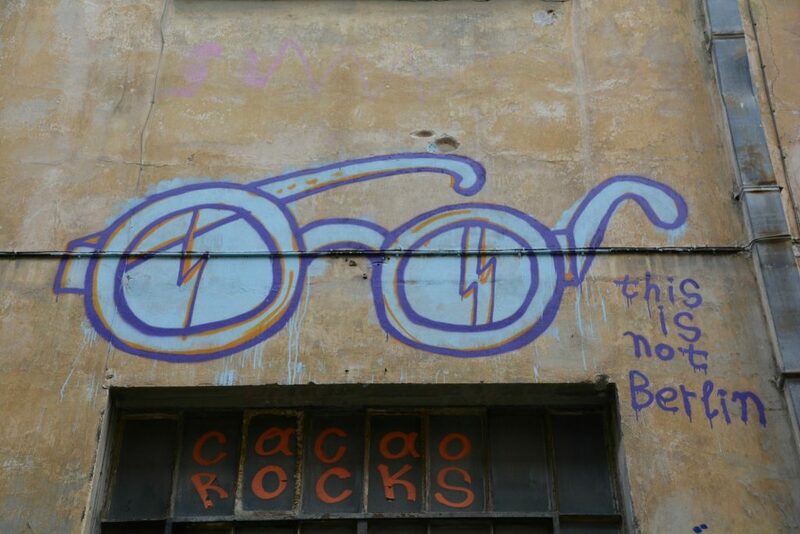 I will definitely check them out when visiting – I hate graffiti so hopefully street art project like this will help to deter vandalism. Great post! Athens has so many dimensions. You’ll find out when you get to visit one day. Not a fan of graffiti either. Just the lovely street art for me! That’s a lot of talented people in Athens! 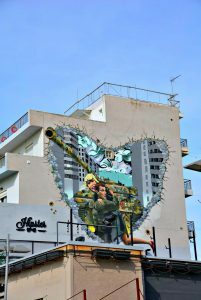 I guess street art would be another reason for me to visit Athens. It is lucky for you to be here long term. Hi Nisha, Definitely. I do love Athens! When did you last come here? I was in Athens not long ago! I really liked the street art and also the vibe. 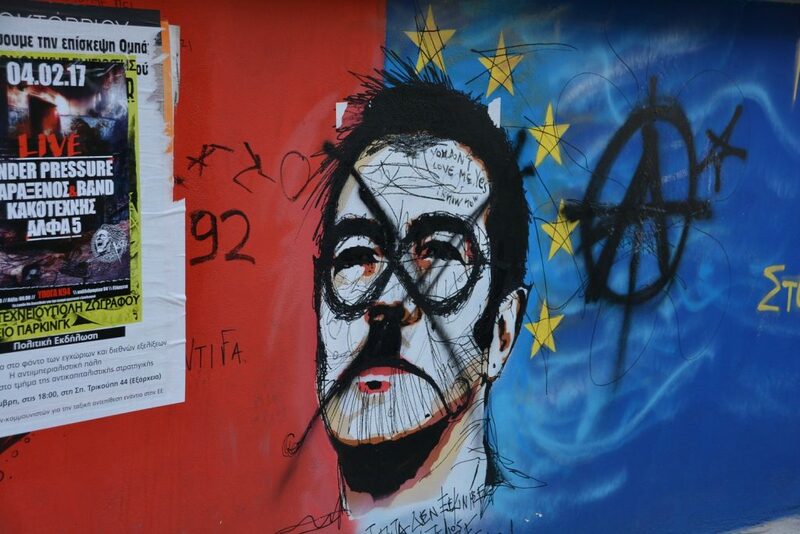 Athens is alternative itself. Something that I remember is all the cool bars with dj’s everywhere in the city. Really amazing work by these artists! I have never actually considered taking up street art tour while tour, but after looking at these masterworks I will definitely go for it. 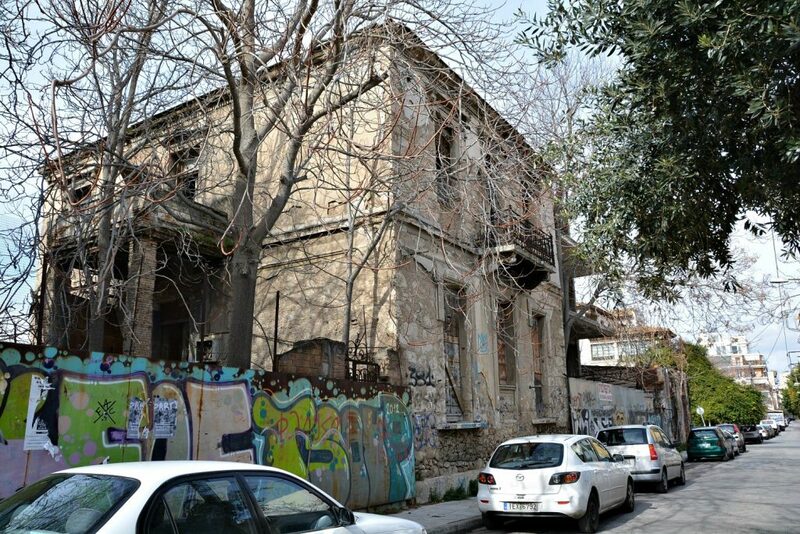 It is good to see another beautiful part of Athens other than its historic monuments :). Hi Suma, I agree. The work is really amazing. It truly is another side to the story of Athens. 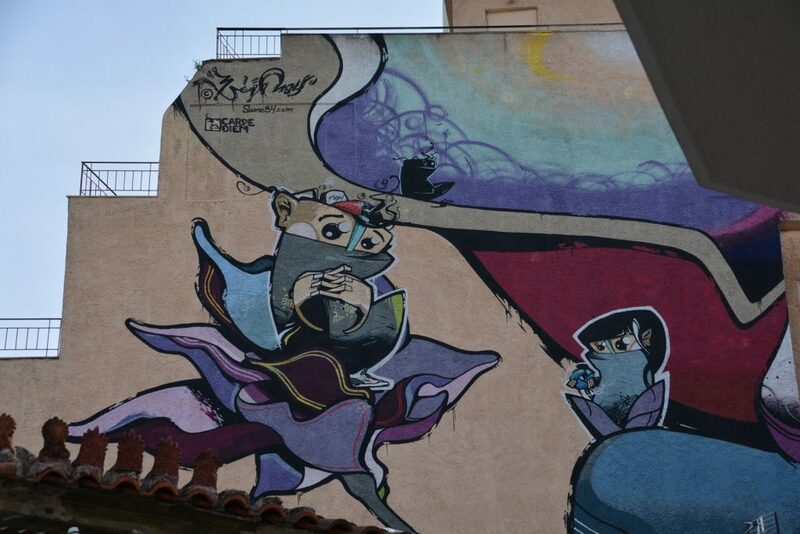 The street art in Athens is pitch perfect! Amazing post, Marissa! I really think this is one of the best things to do in Athens, such a fascinating city. 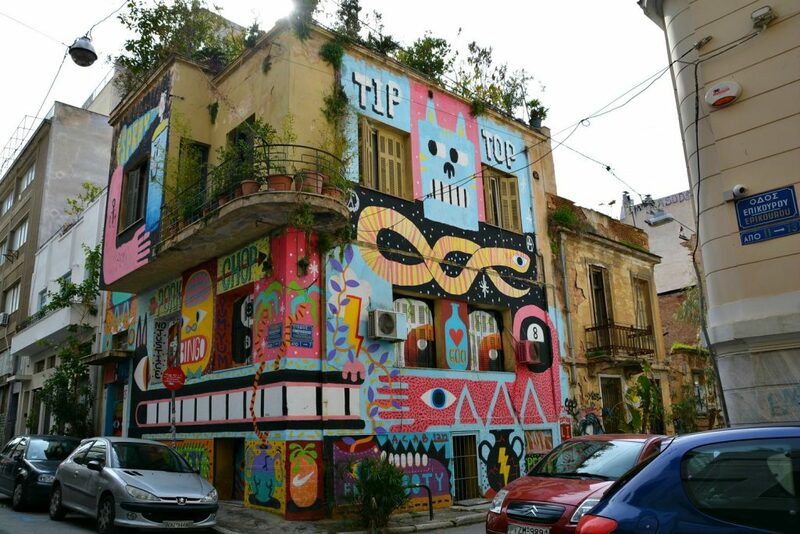 I ended up partying until 6am in Metaxourgeio with my street art tour guide! Good times. Ha, that’s great! I am glad you agree. Athens is a fun city! Hi! 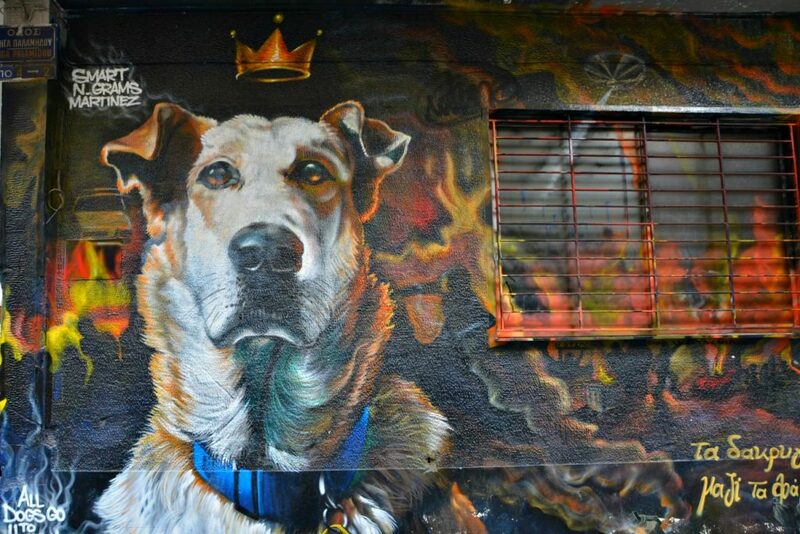 Please may you tell me which street is the Loukaniko dog mural?